Democrat Richard Elías serves as the chairman of the Pima County Board of Supervisors. 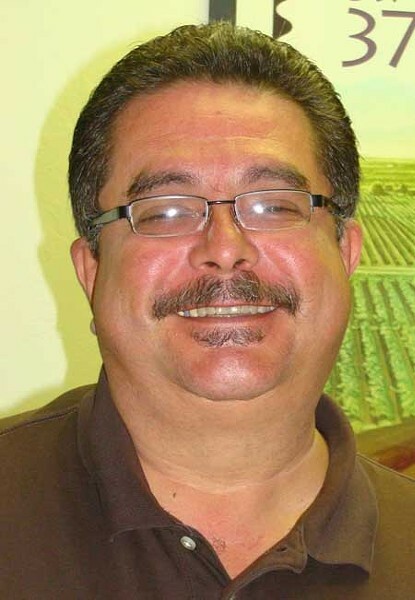 Elías, a fifth-generation Tucsonan, worked as a housing activist for Chicanos por la Causa before being appointed in 2002 as the supervisor for District 5 when then-new U.S. Congressman Raúl Grijalva left for Washington, D.C. When asked about his favorite place in Tucson, Elías first looked to the Tucson Mountains, and then to his stomach. I'm going to say Tucson Mountain Park for a lot of different reasons. One, I have great memories there of events and gatherings. My best friend from grade school got married up at Gates Pass. But also, it is my favorite place because it was part of the first local movement to seriously consider conservation. It was protected as part of a decision by the Pima County Board of Supervisors. Without that move, I'm sure the Tucson Mountains would have been developed, but because of it, we are known throughout the state as a community that takes conservation seriously. Well, food, of course. I'd have to say flour tortillas. Tucson has the best flour tortillas. Best flour tortillas in Tucson, in your opinion? No, I don't think that's such a good idea to say, but regionally, I think we are the best. I remember going to New Mexico and Texas, and wondering what was wrong with their tortillas. Nobody does flour tortillas or comes even close to doing them as well as we do. When I was away from home, my mom used to send them in care packages. You're right; what is it about our tortillas? Tradition. But there's also something about tortillas that says something about us, about how we share food and how we eat food. When we get together, the food gets passed around, and those tortillas come out, and we eat with our hands. It's a way we communicate. It says, "It's OK to sit together like this, relax (and) enjoy this food, and it's OK to let (the food) drizzle down on you."